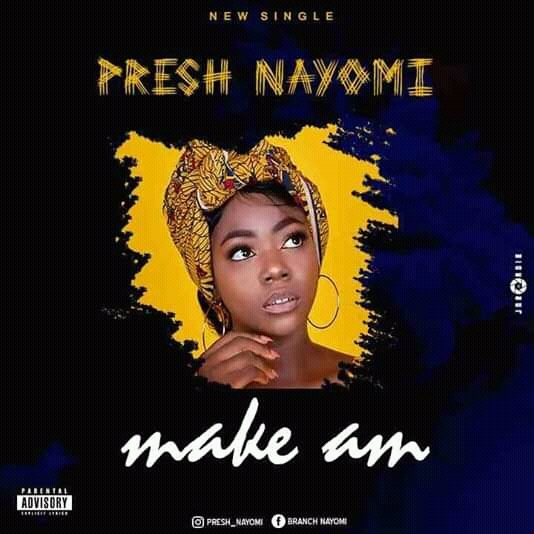 Her real name is Naomi Branch and she goes by the stage name Presh Nayomi, her genre of music is Afro-Pop with a Hgh-Life Feel. Presh Nayomi as she's popularly called first came into lime light in (2017) with a hit single "Stay" that became everybody's favorite phone playlist , a song that grew her fan base from tens to thousands both on Facebook and Instagram. In 2019 She's coming strong and even better joining the Shalom360Entertainment/Kingdjabdullah1 team with a fresh new wave and sound that 'll definitely get your fingers snapping, feets tapping and body shaking. Good music from one the finest female acts to emerge out of the Niger Delta.